Here i'll post my top 25 most listened artists, albums & songs of each week. 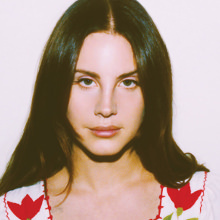 -Lana Del Rey is the most listened artists of the week. She extends her record of being the top of artist of the week, topping the chart in 6 out of 10 weeks. -With the release of their new album High As Hope, Florence + The Machine reach a new career peak, sitting at #4 this week. -Years & Years make their debut on the chart at #14. 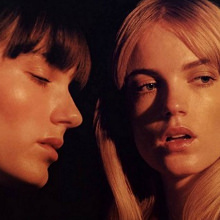 -Lucid Dreaming by Say Lou Lou return to #1. -Honeymoon by Lana Del Rey reach a career highlight and peaks at #3. -High As Hope by Florence + The Machine debuts at #5 despite being 48hs available. This is their first top 5 album. -Pure Heroine by Lorde debuts at #13. -In only 3 weeks, Liberation by Christina Aguilera scans a gold certification. -No Tears Left To Cry serves longevity and spends a 6th non-consecutive week at #1. -24 by Lana Del Rey debuts inside the top 5 at #4. 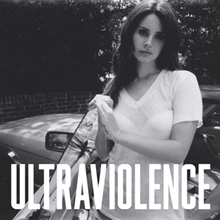 -Lana Del Rey extends her record and spends a 7th week atop of the artist chart. -Lucid Dreaming by Say Lou Lou spends a second consecutive (third overall) week at #1. -Hotter Than Hell (Dua Lipa) & Shake It Out (Florence + The Machine) are now certified gold! -Years & Years barely leads the chart, ahead of their latest release with Palo Santo. If they manage to stay in the #1 position for this week, they'll be the first group to top the artist chart. -Ariana Grande & Taylor Swift areright behind them, with only 3 plays behind Y&Y. -Palo Santo by Years & Years is on track to become the #1 album of the week. -High As Hope by Florence + The Machine is set to remain in the top 3. -Battle between by Sanctify (Years & Years) and No Tears Left To Cry (Ariana Grande) for #1. If Sanctify manages to debut at #1, it would be the 4th song to debut straight at top of the charts. No Tears Left To Cry would extend it's record for most weeks at top of the songs chart for a 7th non-consecutive week. Additionally, No Tears Left To Cry has never left the top 3 since it's debut on the chart. -All For You (Years & Years) & Kream (Iggy Azalea ft. Tyga) are expected to debut in the top 5. *Following this week, the charts will include the 25 most played artists/albums/songs of the week, in order to make this more fun and more competitive. -The queen of pop, Madonna, enters the top 10 of the artist chart for the first time. -Palo Santo by Years & Years debut at #1 and breaks the record for most plays by an album in a week, with 56 plays. The record was previously held by Christina Aguilera's Liberation (38 plays). -Sanctify, the lead single of ''Palo Santo'' debuts at #1 on the chart, becoming the 4th song in doing so. Additionally, Years & Years have another top 3 hit in their hands, as All For You debuts at #3. -Solo by Clean Bandit ft. Demi Lovato reaches a new peak at #6. This is the band highest entry on the chart so far. -Kream by Iggy Azalea ft. Tyga debut inside the top 10 at #7. -Despite being released less than 48hs ago, God Is A Woman by Ariana Grande debuts inside the top 10. This is the 3rd consecutive top 10 from the Sweetener era. -Paparazzi; Downtown; No Angel & ...Ready For It? make their debut in the chart. -Bloom by Troye Sivan & Touch It by Ariana Grande are now certified platinum, while The Light Is Coming is now gold! 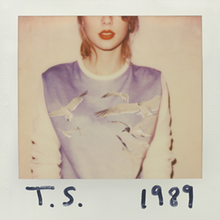 -1989 by Taylor Swift reaches a new peak of #4 ever since it's debut. -Ultraivolence is now certified 2x platinum while High As Hope is now certified gold! -Ariana Grande scores her second #1 on the chart with God Is A Woman. Additionally, Ariana Grande occupies the top 2 of the songs chart this week and has another top 10 hit aswell with the light is coming. -Drunk In LA returns to the top 10. Additionally, it's now certified platinum! 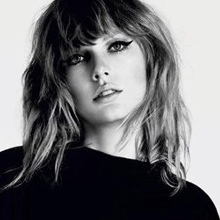 -Wildesst Dreams by Taylor Swift re-enters the chart and reaches a new peak of #11. -Solo & Hunger are now certified gold! -Melodrama by Lorde goes 2x platinum, while Born This Way; Dua Lipa & Liberation go platinum! -Happy Now by Zedd debuts at #3, becoming his first top 3 song. -no tears left to cry by Ariana Grande becomes the first song to be certified 2x platinum, while 24 by Lana Del Rey & Style by Taylor Swift are now certified gold! -Ceremonials by Florence + The Machine is certified PLATINUM! -Years & Years score their 2nd #1 song with Palo Santo as All For You tops the chart. 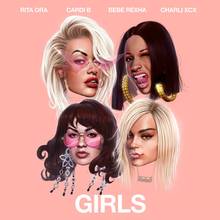 -Girls becomes Rita Ora's, Cardi B's, Charli XCX's & Bebe Rexha's first top 5 hit. -No Excuses by Meghan Trainor reaches a new peak inside the top 15. -Applause by Lady Gaga, King Of My Heart by Taylor Swift & Touch by Little Mix debut on the chart. -Palo Santo returns to the #1 spot for a 3rd non-consecutive week. Palo Santo is the biggest album on the chart released this year. -Ariana Grande remains at #1 for a 6th week. -Nicki Minaj enters the top 5 for the first time. -Queen by Nicki Minaj debuts at #1 with 40 plays, becoming the 2nd highest debut of the year behind (so far) Palo Santo by Years & Years. -Taylor Swift's reputation is now certified 3x platinum, while 1989 is now certified 2x platinum! -All For You by Years & Years remains at #1 for a 3rd consecutive week. -Peach by BROODS debut inside the top 5. -Two songs from Queen debut inside the top 20. -Hotter Than Hell by Dua Lipa; Shake It Out by Florence + The Machine & the light is coming by Ariana Grande ft. Nicki Minaj are all certified platinum! -Ariana Grande remains at #1 for a 7th non-consecutive week, tying Lana Del Rey as the artist with most weeks at #1. Additionally, she breaks the record for most plays by a single in artist in a week, garnering 203 plays. -Calvin Harris & Rihanna re-enter the chart. -Sweetener by Ariana Grande debuts at #1 and breaks the record for most plays by an album in a single week (152). The record was previously held by Years & Years' Palo Santo. 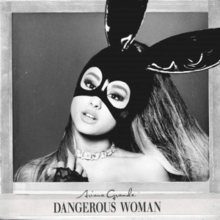 -Following the release of her latest album, two Ariana Grande albums find resurgence; Dangerous Woman being #2 this week (Thus Ariana Grande ocupying the top 2 albums of the week) and My Everything also entering the top 10 at #10. -Sweetener is also the fastest album to reach GOLD. Additionally, Dangerous Woman is certified 3x platinum, alongside Lucid Dreaming by Say Lou Lou. 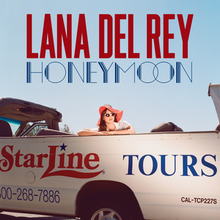 Honeymoon by Lana Del Rey is certified double platinum aswell. -Ariana Grande occupies 7 songs of the top 10 of the week. -Peach by BROODS enters the top 3 at #3. -Promises by Calvin Harris ft. Sam Smith debuts at #12. 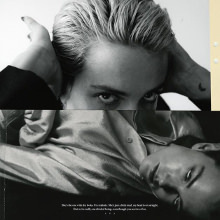 -Old Money by Lana Del Rey and Golden Child by Say Lou Lou make their debut inside the chart. -Ariana Grande remains at #1 for an 8th non-consecutive week, becoming the artist with the most weeks at #1 on the chart. -BORNS & Carly Rae Jepsen make their return to the chart; while Twenty One Pilots debut. -Sweetener by Ariana Grande spends a second week at #1, having 60 plays over the 2nd album of the week. -Born This Way by Lady Gaga, Red by Taylor Swift & Back To Basics by Christina Aguilera returns to the chart; Dopamine by BORNS debuts inside the top 20. -Back To Basics by Christina Aguilera & Queen by Nicki Minaj are now certified GOLD! -no tears left to cry by Ariana Grande spends a record 8th non-consecutive week at #1. -Rendezvous by Years & Years, Animal by Troye Sivan & Electric Love by BORNS debut on the chart. -Delicate by Taylor Swift is double platinum, while All For You by Years & Years and God Is a woman by Ariana Grande are certified platinum!